Holden Beach commissioners had a revenue/expense workshop for the budget season on March 7, the first of five workshops set through April 19. Budget season began for the town on Feb. 5, when commissioners had a special workshop to talk about budget goals, with department input given to Town Manager David Hewett by town departments by Feb 22. The next four workshops are set for March 21 and 28 and April 12 and 19, followed by the budget message May 6-10. Hewett said originally commissioners were set to consider a budget ordinance June 12 but consideration had to be moved to the board’s regular meeting June 18, which is still 12 days before the ordinance must be approved and the budget adopted. Hewett also needed clarification based on goals commissioners established at their Feb. 5 meeting. Hewett told commissioners the town is in the middle of attempting to get approval for projects related to Hurricane Florence and Tropical Storm Michael. He said the town’s draft inputs to FEMA have shown in terms of total losses the town is anticipating a project being approved that will exceed the town’s existing sand source. Hewett asked commissioners if they wanted him to go ahead and start the search for more sand or push the search into next year’s budget. He told commissioners FEMA will only reimburse the project for Holden Beach’s engineered beach that was completed during the Central Reach Project in early 2017. The board also approved letting Hewett move forward with personnel/compensation studies. Hewett said the League of Municipalities has secured a contractor that provides this type of thing for local governments and that the cost would be about $7,500, taking about three months. He said it’s been about 15 years since the board had a review of its descriptions and did a classification paid plan review a couple of years ago. Mandy Lockner with fiscal operations for the town gave a budget presentation and said the numbers included in her PowerPoint were not finalized by any means. With property taxes, Lockner said the estimated tax base for the town as of February 2019 was $1,336,411,67, with estimated revenue for the 2019-2020 fiscal year at $2,897,180. The occupancy tax estimated revenue as of March was $1,854,223. Under expenses, Lockner said the police department had requested an additional officer, two new police vehicles and new uniforms for nine officers and for the governing body/administration, budgeted salaries include a 3 percent increase either by merit or cost of living adjustment. The Brunswick County Chamber of Commerce request permission to host a Kids Expo on Saturday, August 11t11,2019 by the Holden Beach NC Pavilion. This event, the Building Brunsco Kids Expo is the culmination of workshops and other preparation for a one-day pop-up-shop in which kids ages 7 – 17 create, brand, market and sell a product or service that they create. The effort was engaged by the Brunswick County Chamber to encourage entrepreneurship in our county’s youth. We would ask the Board to approve the event and allow the kids to sell their products and services on this one day. The event is from 10am – 1pm with set-up from 7am – 9:30am. Immediately following the event we provide lunch to the kid vendors and then have an awards ceremony under the Pavilion. No other businesses aside from the Kid Vendors are allowed to sell at the event. Sponsors are promoted through signage. We are excited to host an event in Holden Beach and hope you will approve this activity. A Silver Alert has been issued for a Holden Beach woman who was last seen Friday morning. According to the North Carolina Center for Missing Persons, a Silver Alert was issued Saturday for 71-year-old Judy Brown Brock of Greensboro Street. Brock is described as a white female standing 5-feet 2-inches tall and weighing 155 pounds. She has blue eyes and short brown hair. She is believed to be suffering from dementia or some other cognitive impairment. Jeremy Dixon with the Holden Beach Police Department said Monday morning that Brock was last at her home on Greensboro Street Friday morning and that no one had had any contact with her since then. “We have been working diligently to locate Mrs. Brock since she was reported missing on Friday evening,” Dixon said. 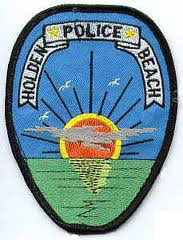 He said Holden Beach police with assistance from the Brunswick County Sheriff’s Office, Tri-Beach Volunteer Fire Department, Brunswick County Search and Rescue and North Carolina Marine Patrol have been searching Holden Beach by land, water and air in an attempt to find Brock. The body of a missing Holden Beach woman has been found and her husband has been charged with murder, police say. On Wednesday, officers located the body of Judy Brown Brock, 71, in a wooded area of Sampson County, according to a news release from the Holden Beach Police Department. Brown had been reported missing Friday, and a Silver Alert was issued for her by the N.C. Center for Missing Persons. Phillip Harry Brock, 71, Brown’s husband, has been arrested and charged with first-degree murder in connection with her death, according to the release. Brock will make his first appearance in Brunswick County court Thursday. Brock was booked into the Brunswick County jail without bail. “This remains an ongoing investigation,” the release stated. “More details will be released at a later time.” Judy Brock had been reported last seen on Greensboro Street in Holden Beach. According to Brunswick County property records, she and her husband had owned a home on that street since 1999. According to the news release, nine law enforcement agencies have assisted with the investigation so far, including the Brunswick County Sheriff’s Office, N.C. State Bureau of Investigations, Sampson County Sheriff’s Office and Brunswick County District Attorney’s Office. Chief Layne retirement is effective 1 April 2019. Retirement Celebration (Hail & Farewell) honoring Police Chief Wally Layne was held on Thursday, March 21st. Detective Jeremy Dixon swearing in as Chief is scheduled on April 1st at 10am. We have switched over and the new system is up and running without any issues. Still have a number of loose ends that he expects to be resolved shortly. Anticipates project will be completed by the next BOC’s meeting. New system is up and running without any issues. Met with engineers and prepared punch list items necessary for project completion. He now anticipates project will be completed within the next fourteen (14) days. In accordance with North Carolina General Statute § 143-64.31, the Town advertised a Request for Qualifications (RFQ) for the Engineering Design and Construction Management Services of the Vacuum Sewer System, Station #3 Upgrade. We received three Statements of Qualifications in response to the RFQ, Green Engineering, McGill and Associates and East Engineering and Surveying. Copies of their responses are enclosed for your review. In order to proceed and make the first step in the improvement process, the Board needs to select a firm. Town advertised for bids and have three responsive bidders. Work for sewer system #3 upgrade is the same improvements just completed on sewer system #4. The Board asked Chris for his recommendation and he hedged his bet by answering that they all are qualified. The Board seemed to impart a lot of value to the vendor that just completed the project on sewer station #4. David would like to move forward but asked them to defer selecting an engineering firm for design and construction management for sewer modifications at Station #3 until the successful completion of the current project. (A) All garbage and household refuse shall be kept in proper containers as required by this chapter and it shall be unlawful for any person to permit garbage to accumulate or remain on any premises longer than is reasonably necessary for its removal. It is the intent of the town that all containers be secured in such a manner either next to non-elevated or underneath elevated houses, or alongside of the house except prior to collection days when they are to be placed at street side, so that the town street right-of-way remains clear of empty containers, and so that containers are not damaged or overturned by high winds or other occurrences. Trash corrals are an acceptable alternative method of storage. Containers will be located at curbside no earlier than 6:00p.m. the evening before designated collection days during the summer rental season. For the rest of the year containers will be located at curbside no more than 48 hours before the designated collection. All containers should be returned to the normal house-side storage location by 6:00 p.m. the day after collection. Through a town contract for island wide rollback, empty trash and recycling containers will be rolled back to the street side of the house or to a corral if available. Full containers will stay curbside until emptied by the next pickup. (A) Criminal. Violators of Chapter 50 will not be subject to a criminal penalty. (B) Civil. Property owners who are found in violation of Chapter 50 may receive written notice from the town that they are in violation of town ordinance in that regard. In accordance with § 10.99(B) of this code of ordinances, the civil fine for violation of any provision of this chapter shall be $50 per offense. Any person who violates any provision of this chapter shall be subject to the penalty provided in § 10.99(B) of this code of ordinances. The civil fine for violation of any provision of this chapter shall be $50 per day per offense.
. (C) Penalties for violations of Chapter 50 will not be assessed till May 1, 2020. The coalition of three that voted for this change didn’t do what they said they would, which was to take a timeout. In other words, they reneged on the agreement they made only two weeks ago. Unbelievably at the eleventh hour they changed the language for §50.99 PENALTY yet again. Commissioner Sullivan made a valiant last-ditch effort to convince the Board to not make changes to the Ordinance. He gave a brief timeline overview of the work that had been done to develop a comprehensive plan to address the issues that had been identified as problems. His position simply stated is that only one component, the rollout portion, needs to be worked on and he was confident they would be able to work it out. The proposed ordinance does not solve the problem and makes the situation worse then when they started working on these issues. His plea to give it a chance to work seems to fall on deaf ears. 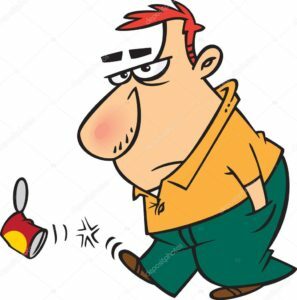 Commissioner Kwiatkowski who spearheaded the development of the ordinance reiterated that the biggest piece was requirements of getting the cans back off curbside which they just eliminated. As discussed in the budget workshop on Thursday, March 7, 2019, the Town will need to find a new sand source in order to construct a project to mitigate Hurricane Florence and Michael damages. The volume of sand loss exceeds the Town’s current sand source. The commissioners decided they would like to begin the sand search process this budget year. The engineer’s cost estimate for the project is $170,000. The sand search will be a lengthy process and costs not expended this fiscal year will need to be carried forward to the next fiscal year. The attached budget amendment would need to be adopted in order to appropriate funds. It is the intent of the Department of Transportation to provide a bicycle/pedestrian railing atop the Town’s concrete bridge barrier, as an added safety improvement. 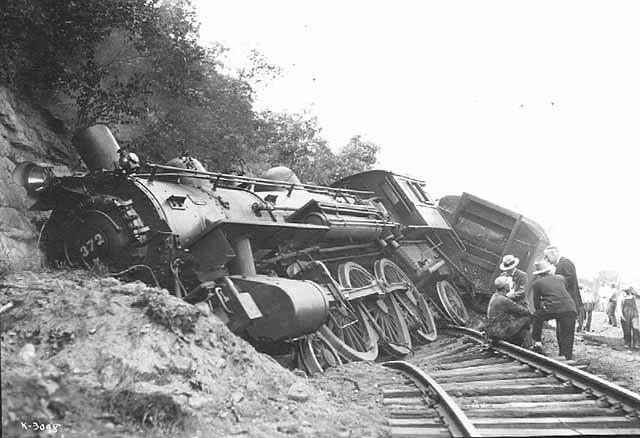 They would like feedback from the Town on a preferred option for the safety rail. It seems as though they need an answer sooner than our normal meeting schedule allows. I don’t think it is the manager’s call on this and feel the Board should review and make the recommendation. Please see the attached pictures and let me know if you have any questions. NCDOT is committed to measuring and improving its overall performance. One of the department’s goals is to make the state’s infrastructure last longer by setting a target for at least 70 percent of bridges rated to be in good condition or better. Good means that the bridge can safely carry the typical-sized commercial or passenger vehicles for that route. To achieve this goal, the department uses a data-driven strategy to improve the overall condition of all bridges in North Carolina by focusing taxpayer dollars where they’re needed most. 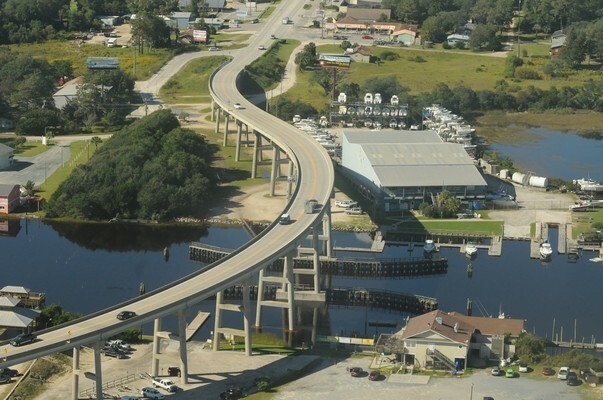 North Carolina Department of Transportation selected Holden Beach bridge as a High Value Bridge. They have allocated funding to make safety improvements and improve the expected life expectancy of the bridge. Work includes adding bicycle / pedestrian railing a safety improvement and also do basic repair to the substructure. NCDOT will pay the entire estimated $1.5 million to $2.0 million cost of the project. Work on the bridge is scheduled to begin in September. The estimated time frame to complete the work is the better part of eighteen months. Chad Kimes Deputy Division Engineer informed the Board that NCDOT intends to install a bicycle / pedestrian railing on top of the concrete bridge barrier, which does not meet current safety standards, as a safety improvement. He asked the Board for feedback regarding what look did they want. The Board was given the opportunity to choose whether the rails would be vertical or horizontal and also select the color. The Board chose to have three horizontal railings with an aluminum finish atop the concrete bridge barrier. Town Manager David Hewett said the bridge was never intended for bicycle and pedestrian traffic and putting up the railing up may give people the wrong impression. Commissioner Butler agreed with David and voted against the motion essentially saying we were creating an attractive nuisance. David asked whether the funds could be used to pave Ocean Boulevard West. Chad said the monies for resurfacing and for the bridge project are separate, so NO. 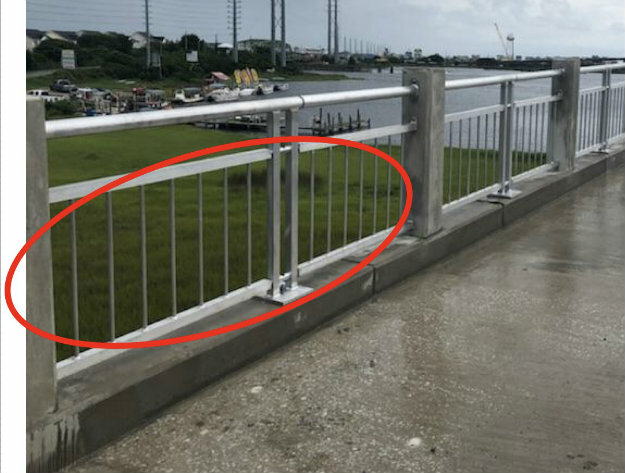 As you may recall a couple of months ago, we presented two bridge railing options at your Commissioners meeting in reference to the Holden Beach bridge rehabilitation project, for your review and consideration. The Town chose the three horizontal rail design as shown in the attachment titled “Holden Rail Retrofit ­ Options 1 and 2.” Upon further consideration, we requested our design consultant provide a third railing option for the bridge rail retrofit, which I have attached, titled “Holden Rail Retrofit – Option 3.” The idea for this option came from the latest Surf City bridge design, which includes a smaller vertical “picket” than the option provided at the council meeting and may provide greater visibility. The support posts in this option are modified slightly as well. The Town’s prior decision is still a perfectly valid option and it is not our intent to complicate matters with this proposal, we just wanted to extend this option to you, since it is also being extended to Ocean Isle Beach. We are currently under contract with Coastal Gunite Construction to perform the rehab work and will need to provide them with your choice of the 3 options. If you will please review the attachments and provide us with a response by Friday, December 14, 2018, if at all possible, it will be greatly appreciated and can help the project stay on schedule. The contract has been awarded, NCDOT plan to spend 3.3 million dollars rehabilitating the bridge, part of the High Value Bridge Program, including adding safety railings which brings the wall from 27” to 48” to meet current safety criteria. The project is scheduled to start in January and is expected to take through October of 2019 to complete. The BOC’s selected the new third option which includes two horizontal aluminum bars with thin vertical pickets. The Surf City railing shown below is what we are getting minus the top horizontal bar. Planning Director Tim Evans met with the NCDOT to get more information about the project and made the presentation tonight. Most of the Towns concerns about activities being compromised during bridge maintenance project were addressed. Monday – Thursday, 5:00 a.m. – 9:00 p.m.
Friday at 5:00 a.m. – Sunday at 9:00 p.m.
Monday – Thursday, 6:00 a.m. – 9:00 a.m. & 4:00 p.m. – 7:00 p.m.
From Friday at 6:00 a.m. to Sunday at 7:00 p.m. The contractor will also not narrow or close lanes of traffic, detain, and/ or alter the traffic flow during holiday weekends, special events or other times when traffic is unusually heavy. Recently the Planning Board asked staff to look into the adequacies of the C1 zoning rules. Staff found what appeared to be some major deviancies in the setbacks/buffers and presented text amendments for review. The Planning Board approved the amendments and has found the changes to be consistent with the current Land Use Plan. Staff also concurs that these changes will make Holden Beach a better place to visit and live and recommend that in the interest of life safety health and welfare that these changes be implemented.
. (A) The Commercial District is established as the district in which a variety of sales and service facilities may be provided to the general public. The specific intent is to encourage the construction of and the continued use of land and buildings for commercial and service uses that are compatible with the family beach character of Holden Beach and serve to enhance the services available to residents and visitors. All commercial activities shall be conducted from a permanent structure, shall comply with the town’s noise ordinance, and meet or exceed the parking requirements of this chapter.
. (B) Refer to the Table of Permitted Uses, §157.054, for permitted uses in this district.
. (C) Dimensional requirements C-1.
. (1) Front yard. Minimum required: 25 feet.
. (2) Side yard. Minimum required: five feet. Open porches, steps, or overhangs shall not be within five feet of the property line.
. (3) Rear yard. Minimum required: five feet, except that if a commercial use abuts a residential district there shall be a rear yard of 20 feet. Rear yard. Minimum required: 25 Feet. Landscaping buffering required.
. (4) Buildings constructed or converted to commercial use after the effective date of this chapter shall provide off-street parking and loading space as required in §157.075 through §088 of this chapter.
. (6) Building height. No building shall exceed a maximum height of 31 feet measured from design flood elevation to the highest point of the structure.
. (D) Screening shall be required to conceal from public view HVAC equipment, utility equipment, accessory structures, and other accessory facilities accessory to a commercial use.
. (E) Solid waste disposal containers to be screened. Screening for solid waste disposal (dumpsters) shall be of comparable material and color as the structure they are accessory to. The height of the screen shall be equal to or greater than the height of the container being screened. The width shall be sufficient to permit two feet clearance between the receptacle and the screen to facilitate cleaning and maintenance. A concrete pad with drain to sanitary sewer or a dry well is required by the NC State Board of Health. The opening shall have a gate or slide that can be held in place while being serviced. All other refuse containers, such as cans or bins, shall be adequately screened from the view of adjacent properties or the street right-of-way.
. (F) Outside material storage. 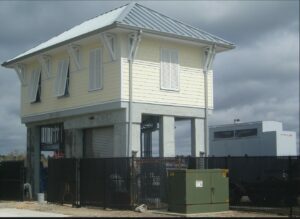 Outside storage shall be within a fully enclosed accessory structure or shall be screened from view of all adjacent properties and the street right-of-way by a perpetually maintained vegetative buffer or fence of comparable material and color that matches the primary structure. Only material, goods, wares, etc. That are incidental to that business are permitted to be stored.
. (G) Outside display of items for sale. The display of any goods, material, or items for sale may be displayed outside of a business so long as they are contained or secured to prevent blowing off site and are not encroaching upon the required pedestrian way or reduce the required number of parking spaces established by this chapter. All displays shall be of the same product line sold by the occupant in the primary use of the lot.
. (H) Sidewalks required. It is the intent of the town to require safe pedestrian access along all commercial properties. If the developer of commercial property does not install sidewalks at the time the property is developed, the town reserves the right and the property owner shall agree to pay an assessment sufficient to construct public sidewalks along the street adjacent to the development at a later date.
. (I) Landscaping required. All commercial structures shall have landscaping installed, by the property owner, to soften the impact of the bare walls to adjacent properties and the streets. Areas required to be landscaped buffered under 157.062 (C) l-3, shall be a minimum of 6 feet high on the sides of property with spacing no less than three feet. Buffering must be maintained so as to be perpetual in its functioning for the life of the use. The Town of Holden Beach Planning & Zoning Board hereby recommends approval of the text amendment to §157.062 COMMERCIAL DISTRICT C-1 of the Holden Beach Code of Ordinances. As required by G.S. 153A-344 and 160A-387, the Planning and Zoning Board has reviewed the proposed changes and finds them to not be inconsistent with the adopted 2009 CAMA Land Use Plan, specifically goals, objectives and policies in section 9.1. Land Use and Development. In addition, the Planning and Zoning Board feels the changes are in the public’s interest because they will promote public health, safety, and general welfare within our community. Upon approval by the Board of Commissioners the Comprehensive Plan will be deemed amended and shall not require any additional request or application for amendment. Mayor Holden encouraged them to consider that we should notify owners of these commercial properties. Tim recommended we also notify the adjacent property owners too. The staff will bring back changes in an Ordinance form. The next step would be to have a Public Hearing before adopting Ordinance with these recommended changes. Tim made a mea culpa for presenting this before getting adequate feedback regarding the major impact of the changes. Unfortunately, the ordinance is not going to work as presented. It appears that it would have more negative impact on commercial properties then they thought once they looked at individual parcels. It was recommended and decided that it should be sent back to P&Z Board to address these issues. There is no hurry and they would like to get it right.
. 1) Request to organize a 2-hour workshop, provided by LGC or NCLM staff, to improve Board of Commissioners and Audit Committee’s understanding of municipal financial accounting.
. 2) Recommendation to gain a complete explanation from the audit firm, Rives & Associates, as to the causes for the significant delay in the completion of the 2018 annual audit.
. 3) Request to have the monthly financial statements prepared for the Board and the Audit Committee in excel format and to show each fund individually with Revenue followed by Expenses for each fund.
. 4) Confirmation to the Town Manager/Finance Director that any proposed internal control changes, including those resulting from the RSM internal control evaluation, would initially be presented to the Audit Committee by Town Manager/Finance Director for review and comment. The Audit Committee would then provide their recommendation to the Board of Commissioners. The new General Schedule for Local Government Agencies is now available for adoption. According to NCGS §121-S(b) and NCGS §132-3, you may destroy public records only with the consent of the Department of Natural and Cultural Resources (DNCR). The State Archives of North Carolina is a division of DNCR charged with administering a records management program. The proposed schedule is the primary way the State Archives gives its consent. If we do not approve the schedule, we are obligated to obtain the State Archive’s permission to destroy any record, no matter how insignificant. The 2019 hurricane vehicle decals were distributed with the March water bills. Canal Dredging operations are underway but is running about two weeks behind projected schedule. The dredge “Patricia Sanderson” started work in the Holden Beach Harbor feeder canal. . Active dredging projects are approximately 90% completed, only a few canals left to do in Harbor Acres. The dredging permit expires at the end of this month. Any damages caused by the dredging will be addressed after they have completed the dredging operations. Speaking for the six (6) boat captains that were in attendance, a request was made for Holden Beach to work with the County in approaching the state for a desperately needed additional boat ramp. Auditor’s report is due by November 1st and is normally is given at the November meeting. The report still has not been given yet. Town Manager reported at the October meeting that the storm events have delayed the annual audit process. We are still waiting for the report. 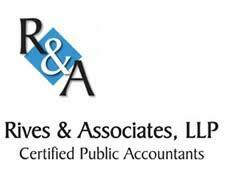 The auditor Rives & Associates has advised the Local Government Commission. Nothing for nothing but it has been like six (6) months since the last storm event. After making their mark on the Cape Fear region and the East Coast last year, both Florence and Michael have been retired as hurricane names by the World Meteorological Organization, which includes NOAA’s National Hurricane Center. The two names have been replaced Francine and Milton, both of which will officially enter the rotation in 2024 hurricane season. Dennis Feltgen, spokesman for the National Hurricane Center, said Wednesday that names are on a six-year cycle and are only retired if reusing them would be insensitive to those affected by the name’s previous storms. “There was never any question that these two were going to be retired,” he said. Including Florence and Michael, 88 names have been retired from the Atlantic basin list since 1953, when storm naming became a practice. 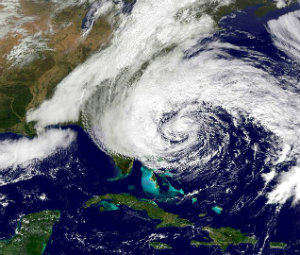 The 2005 hurricane season, which included Katrina, has the most retired names for one season – five. Previously retired storm names that affected the area were Matthew (2016), Floyd (1999), Fran (1996) and Hazel (1954). Hurricane Florence is considered one of the most destructive to ever hit the Carolinas, where it made landfall in Wrightsville Beach in the early morning of Sept. 14. It went on claim at least 51 deaths and caused extensive flooding across North and South Carolina, and Virginia.